New Year’s Day is a day for reflection, a day to tally the wins and losses of the year and set new goals. If you know me, you know PETS is my life. I am blessed with a wonderful and supportive family and I have friends that I know I could call on for anything but the majority of my time is spent at PETS with my PETS family (which consist largely of my biological family, too). This year was a very different year for me. In June, all but one of my board members graciously stepped down six months early. They were terming out at the end of the year but an opportunity presented itself for me and the new board to attend a very intense 2.5 day non-profit workshop. So with three brand new board members and my Digital/Development Director, we set out to revamp and revise our organization. It became clear during this time that life, as I knew it, had to change or our goals and strategic plan for PETS would not come to fruition. In a nutshell, we needed to ensure PETS was sustainable whether I lived or died. We also had to be very honest about things that I do no one else can do better and what I should work towards delegating. In 11.5 years, PETS has grown from a tiny once a week operation to a very large organization with 18 staff, 3 veterinarians and 60+ volunteers. Our tiny operating budget has exploded from 18k/yr to 1.5 million and we all agree that P.E.T.S.’ growth will not be slowing down anytime soon. 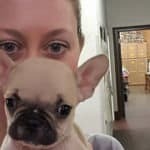 For this first time in PETS history, I turned complete control over everyday operations at the clinic to my clinic manager, Stephanie Bennett. Knowing this day was coming, the staff had elected her their leader. The transition was smooth. Stephanie loves my people like I love them. She was a natural fit for the job. Under Stephanie’s leadership, the clinic spayed and neutered 7507 cats and dogs. This number includes 1715 feral/free-roaming cats sterilized for free and 2008 cats and dogs for free or at a greatly reduced surgery price. Our clinic was the proud recipient of $262,500 worth of grants this year for our community programs and surgery assistance. Moreover, we are overwhelmed by the generosity of donors inside and outside of Wichita Falls. We gave out over 200 dog shelters and are anxiously awaiting the ground drying up so we can acquire more. We fed an average of 500 cats and dogs each month through our Pantry. Chainoff completed 15 fences freeing 39 dogs and bringing their grand total to 119 fences and 248 dogs served in our community since we began this worthwhile program. Underdog Express saved 609 dogs in 2018 bringing our grand total of lives saved to 2080. We had the opportunity to help hundreds of pets receive treatment for minor vet needs. We worked with a devoted group from Altus, OK to help them open their own spay and neuter clinic within Altus and had the pleasure of training their veterinarian. We opened our first Satellite clinic within the Young County Humane Society in Graham, Texas. Finally, our partnerships with human-focused organizations allowed us to serve victims of domestic violence and homeless pet owners this year. When I look back at this past year, two things make me the proudest. One, the line at our 2018 PETS fest. Embarrassingly, I cried on camera at the end of the day because PETS Fest is exhausting and emotional but mostly because pet owners just make me proud. They stood in line for over 3 hrs to receive free services for their pets and they did so graciously without complaining. No one gets to say, “Of course they did, it was free.” To wait that long for anything free or not, means you value the service enough to do so. It means they loved their pets enough to stand in a 3+ hr line. My second proudest moment is the fact that we brought in the most number of donors during Texoma Gives. We will never bring in the most money though we did REALLY well. In reality, the majority of our supporters do not have the ability to donate large sums of money but equally important and humbling is the sheer volume of people that DO give something to us. Texoma Gives is an exceptional reminder that although Animal Welfare falls to the very bottom of philanthropic giving on a national level, people in our community care whether cats and dogs live or die. I wish I could tell you all about our plans for 2019 but we must be patient. I can tell you that our plan for PETS future is GIANT! We don’t want to live in a community that kills healthy animals for space. We believe our city is better than this. We want our city to be pet-friendly and that involves much more than just reducing pet overpopulation. We believe our holistic approach to animal welfare that not only prevents unwanted litters but keeps pets in the homes that love them, is the answer to overcrowded shelters and euthanasia. We want to make sure cities throughout North Texas and Southern Oklahoma have access to our approach. Finally, but certainly not least is that fact that any and ALL of our success is carried on YOUR shoulders. Every time you donate, every time you encourage someone to adopt, every time you tell someone about us, share one of our Facebook posts, or come to the clinic- you keep us going. Though PETS was created to serve economically disadvantaged pet owners, we are open to EVERYONE and every time a pet owner gives us their business and pays full price, we can help another pet in need. Together- we save lives! Happy New Year, Wichita Falls! The best is yet to come.